Drug discovery and development is a very complex, costly, and time-consuming process. Because of the uncertainties associated with predicting the pharmacological effects and the toxicity characteristics of new chemical entities in man, their clinical development is quite prone to failure. In recent years, pharmaceutical companies have come under increasing pressure to introduce new blockbuster drugs into the marketplace more rapidly. Companies have responded to these pressures by introducing new technologies and new strategies to expedite drug discovery and development. Drug discovery and development have traditionally been divided into three separate processes (i.e., discovery research, preclinical development, and clinical development) that ideally should be integrated both organizationally and functionally. Instead, separate and distinct discovery research, preclinical development, and clinical development divisions were created within many companies during the 1980s and 1990s, Because of their isolation, scientists in the discovery research divisions often were advancing drug candidates into preclinical development that had marginal drug-like properties. For the purpose of this presentation, "drug-like" properties refer to the molecule's physicochemical, absorption-distribution-metabolism-excretion (ADME), and toxicological properties. Lacking optimal drug-like properties often caused these drug candidates to fail in preclinical or clinical development. The increase in the number of drug candidates being advanced into development with marginal druglike properties arose in part because: (i) discovery scientists did not fully appreciate the complete portfolio of characteristics that a drug candidate must have to succeed in preclinical and clinical development; and (ii) a paradigm shift occurred in discovery research in the late 1980s and early 1990s. This drug discovery paradigm shift involved a transition from whole animal, disease-based screens to biochemical-based screens, which use isolated and purified macromol-ecules (e.g. receptors, enzymes) assayed in vitro. The whole animal, disease-based screens had the advantage that they afforded information about a molecule's pharmacological as well as drug-like properties. For the purposes of this presentation, "pharmacological properties" refers to the molecule's physiological (e.g. decrease blood pressure) or behavioral (e.g. antidepressant) effects in animals and man. In contrast, the biochemical-based screens afforded only information about a molecule's affinity and specificity for the macromolecule(s) thought to mediate its pharmacological effects in animals and man. in the discovery research division within a company. Input from preclinical development scientists, who have the knowledge and expertise in areas such as physicochemical properties, ADME properties, and toxicological properties, was not sought by the medicinal chemists during this phase of drug design. The result was that scientists in discovery research were advancing what they thought were high quality drug candidates into preclinical development. However, in reality, these compounds were simply high affinity ligands. For the purpose of this presentation, high affinity ligands refer to molecules that bind with high affinity and specificity to a macromolecular target but lack one or more optimal drug-like property. Retrospective analysis data from the 1980s and 1990s has shown that these high affinity ligands failed in preclinical and clinical development for various scientific reasons including lack of efficacy and/or lack of optimal drug-like properties. The failures arising from the lack of drug-like properties could be due to the paradigm shift in drug discovery described above and/or the availability of new knowledge and more precise and selective assays for characterizing a molecule's physicochemical, ADME, and toxicological properties. Even if these marginal drug candidates succeeded in preclinical and clinical development, they would cost more in time and money to develop into commercial products. Traditionally, incorporating optimal drug-like properties into a structural lead was not considered by medicinal chemists to be their responsibility. Instead, medicinal chemists felt that the undesirable drug-like properties in their drug candidates would be fixed by preclinical development scientists. However, that view has changed in the past 5-10 years, resulting in another significant paradigm shift in drug discovery. The most significant aspect of this latest paradigm shift is the recognition by medicinal chemists that the drug-like properties of structural hits, structural leads, and drug candidates are intrinsic properties of the molecules and that it is the responsibility of the medicinal chemist to optimize not only the pharmacological properties but also the drug-like properties of these molecules. Therefore, assessment of these drug-like properties is now done early in the drug discovery process on structural hits and structural leads as well as the design of screening libraries. Optimization of these drug-like properties is done through an iterative process in close collaboration with preclinical development scientists. 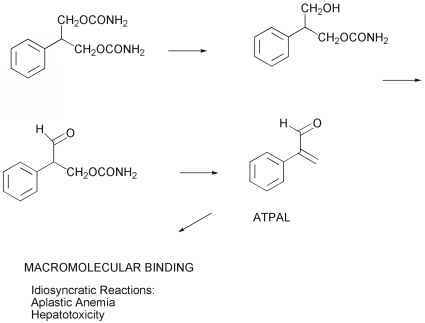 This process is analogous to the process used by the medicinal chemist to characterize and optimize the pharmacological activity of their structural hits, leads and drug candidates. Recognizing these changes in the paradigm by which drugs are discovered, the American Association of Pharmaceutical Scientists (AAPS) has recently organized and sponsored two focused workshops in the area of profiling drug-like properties during drug discovery. The first workshop, entitled "Pharmaceutical Profiling in Drug Discovery for Lead Selection", took place in Whippany, NJ on May 19-21, 2003. This workshop, which was co-sponsored by the American Chemical Society-Medicinal Chemistry Division and the Society for Biomolecular Screening, was focused on prediction, measurement, and utilization of drug-like properties during lead selection. From this workshop arose the book entitled Pharmaceutical Profiling in Drug Discovery for Lead Selection, which was edited by Ronald T. Borchardt, Edward H. Kerns, Christopher A. Lipinski, Dhiren R. Thakker and Binghe Wang and published by AAPS Press (Arlington, VA) in 2004. The second workshop entitled "Optimizing the Drug-Like Properties of Leads in Drug Discovery" took place in Parsippany, NJ on September 19-22, 2004. This workshop, which was co-sponsored by the American Chemical Society-Medicinal Chemistry Division, American Chemical Society-North Jersey Section, American Society for Clinical Pharmacology and Therapeutics, European Federation for Pharmaceutical Sciences, International Society for the study of Xenobiotics, and the Society of Toxicology, was focused on the optimization of the drug-like properties of leads in drug discovery. If the strategies and the methodologies presented at this workshop were to be adopted by pharmaceutical and biotechnology companies, it is the belief of the workshop's organizers that more higher quality drug candidates would be advancing into preclinical and clinical development resulting in more efficacious and safer drugs. To insure that these strategies and methodologies for the optimization of the drug-like properties of leads in drug discovery are disseminated to the broadest audience possible, the workshop's organizing committee decided to edit the workshop proceedings in the form of this book entitled Optimizing the DrugLike Properties of Leads in Drug Discovery. This book was edited by Ronald T. Borchardt, Edward H. Kerns, Michael J. Hageman, Dhiren R. Thakker and James L. Stevens and published by Springer/AAPS Press in 2006. Ronald T. Borchardt, The University of Kansas at Lawrence Edward H. Kerns, Wyeth Research Michael J. Hageman, Pfizer, Inc.